Marketing your business via leaflet distribution is by no means a new concept. It is a marketing channel that many businesses are using with great success. Since the rise in the digital marketing, traditional print marketing methods such as leaflets can be overlooked. They should still have a place in your marketing strategy. Leaflet marketing is a great way to get in front of your target audience. It is ideal if you want to promote an event, a special offer or a new business or product. For the best results your leaflet should be well designed, easy to understand and stand out. To get the most from your leaflet get them professionally designed and printed. There are two main methods of leaflet distribution; door-to-door distribution and media inserts. Media inserts are leaflets put into newspapers and magazines. Both have pros and cons and can deliver good results. 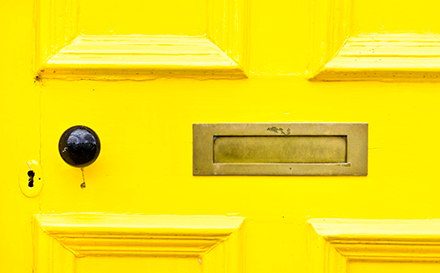 One of the most common methods of leaflet distribution is door-to-door distribution. It is one of the most cost-effective ways to distribute your leaflet. With door-to-door distribution you are targeting your audience by location rather than by more targeted demographics. With many leaflet distributors to choose from it is important that you do your research. Get a range of quotes and are clear on the service offered. For example, will they be dropping many leaflets at the same time. Using that delivery method means that your offer could be diluted. It is always best if you can use a distributor that delivers your leaflet on its own. It will have more impact on the recipient than if it lands on the doormat with several other leaflets. Some distributions companies also offer GPS tracking of your delivery. This means you can track the deliverer and see when your leaflets have been posted. Another delivery method is distributing your leaflets by inserting them into magazines and newspapers. This allows you to target your audience by more than just location. For example, you can target by interest, gender and age. You can do this by inserting your leaflets into specific titles. These titles will target specialist interests, specific genders or a specific age group. Creating a bespoke message for the readers of selected magazines and newspapers is effective. It could lead to an increase in conversions and could drive sales. If you are targeting many publications tailor your message for each audience. That way you will get the best results. Inserting a leaflet rather than running an advert gives you greater freedom with the design. You are not restricted by space. A leaflet will make a bigger impact than a magazine or newspaper advert. You can pay extra to have your leaflets placed on their own in publications. This helps your leaflets gain maximum impact.